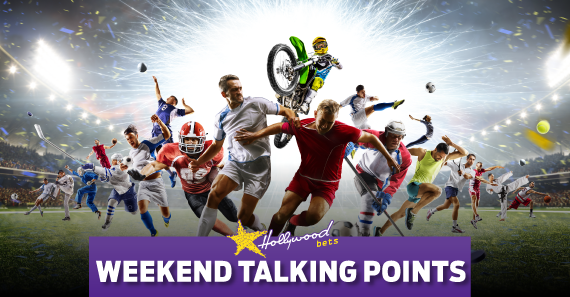 Five talking points from some of the weekend's sporting highlights. Chelsea earned an easy enough win over Southampton in their FA Cup semi-final. Olivier Giroud danced his way through a number of Saints defenders before prodding home. Alvaro Morata made it two with just 10 minutes to go to give his team a cushioned lead as they walked away 2-0 winners. Manchester United clawed their way back from a goal down to win 2 - 1. Dele Alli opened the scoring for Spurs in the 11th minute. His goal was cancelled out by a great header from Alexis Sanchez. Ander Herrera completed the turnaround after he scored to send United fans into raptures with 30 munites left to play. The Red Devils defended well to ensure their place in this year's final, which will be played on the 19th of May at The Wembley Stadium. Moses Mabhida was the epicentre of a massive pitch invasion, subsequent assaults and damage to property, following Chief's exit from the Nedbank Cup at the hands of Free State Stars. Fans started a violent protest by damaging camera equipment, cables, and by starting a number of small fires throughout the stadium. Police intervened by using teargas and stun grenades to disperse the crowd. But their response was a little too late as security guards were also violently attacked. Steve Komphela announced his resignation shortly after the match after another year without a trophy. Back at the Harry Gwala stadium, Maritzburg United beat Sundowns to set up a final with Free State Stars on 19 May, at the Cape Town Stadium. Andries Iniesta played in his last Cope del Rey match this past weekend as Barcelona scored five unanswered goals to hammer Sevilla in one of the most one sided finals in recent memory. The veteran playmaker scored a brilliant goal and was instrumental in Barcelona's lethal attack that saw them go 3 - 0 up before half time. Iniesta will leave Barcelona at the end of the season and announced that the Cope del Rey will be his last cup final. The Jaguares went two wins on the trot after halting a Brumbies fightback to win 20 - 25 in Canberra. The Argentines were clinical on the attack, finding half gaps, and making use of their powerful pack. Their discipline has improved in comparison to last year, as they have conceded three yellow cards from their last nine matches. The Jaguares were a great price at 16/10 for a win on the board, and sure enough, they delivered. This coming weekend they face the Blues followed by the Chiefs to end off their tour. Salah was competing with Harry Kane, Kevin De Bruyne, David Silva, and David de Gea for the prestigious award. But I don't think there was doubt in anyone's mind that the Egyptian would win.